Keep cool and good looking with air cushioned comfort in the Mens Porter-Meteno Shoe from Skechers. 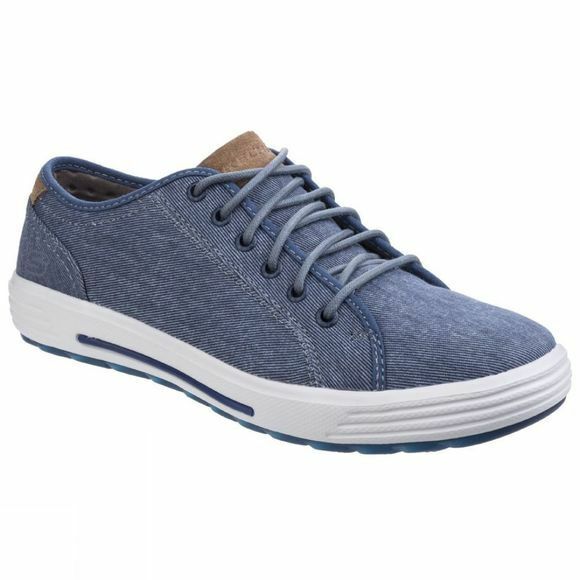 Soft woven canvas fabric upper in a lace up casual oxford with stitching and overlay accents. Memory Foam insole, Skech-Air cushioned midsole.